Welcome to our hosting section, a curated list of hosts we strongly recommend for building and optimizing your business. We have tested every single recommendation on this page. The hosts listed here are crucial to running our business. Some of the links below are affiliate links. 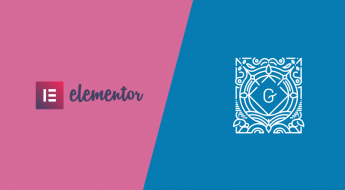 We have experience with all of these companies, and we recommend them because they are helpful and useful, not because of the small commissions we make if you decide to buy something. Please do not spend any money on these products unless you feel that they will help you succeed. 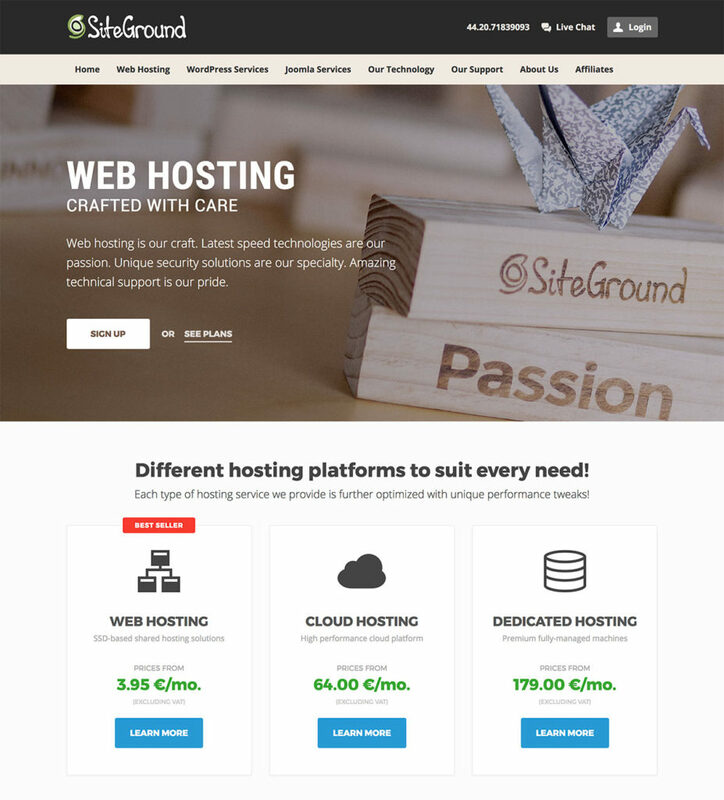 SiteGround is an excellent host if you’re starting off and provides excellent features like free WordPress installation, free website transfer, auto-updates and 24/7 phone support. They even offer daily backups and free Cloudflare CDN services. SiteGround is very affordable and offers a ton of features for the price. Siteground offers one major differentiator that others do not. The Siteground Supercacher (on the GrowBig and GoGeek plans). The Supercacher is actually a series of different caching mechanisms that you typically won’t find on any shared or managed VPS provider. Normally you’d have to go down the unmanaged DIY VPS route to avail of these so it’s interesting to see a host introduce these technologies to the masses via an easy to use interface. In recent years Linode has come under increasing competitive pressure from the likes of Digital Ocean but they’ve responded brilliantly in kind with new SSD plans and pricing to compete. I’d recommend the Linode 2GB plan ($10/mo). If you’re getting any kind of traffic then look instead at the 4GB ($20/mo.) plan. I also strongly suggest the first thing you do is to enable backups (another $2.50/$5 per month on the 2GB/4GB plans). 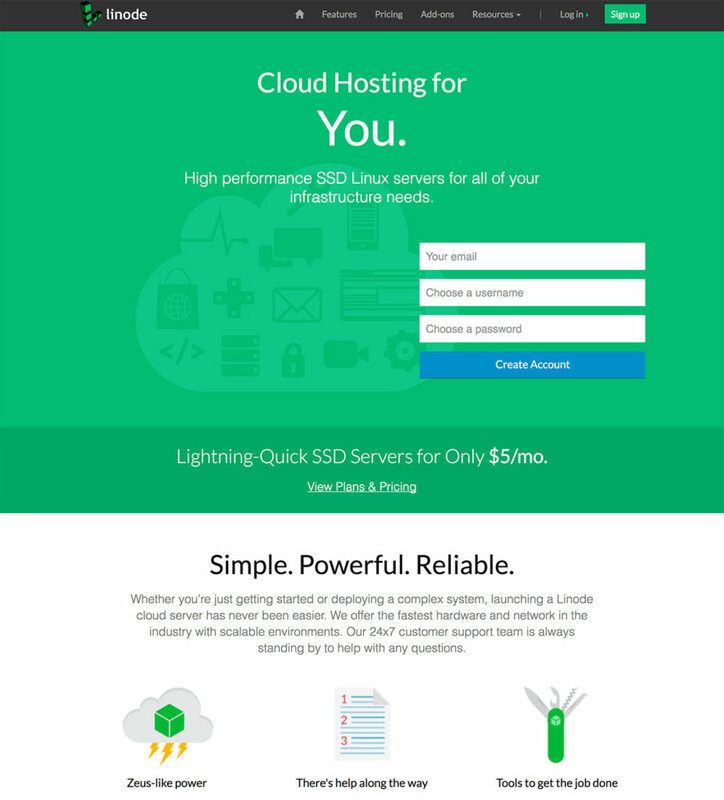 The Linode backup system is worth it’s weight in gold and it’s one of the best available anywhere. Digital Ocean appeared out of nowhere a few years ago. 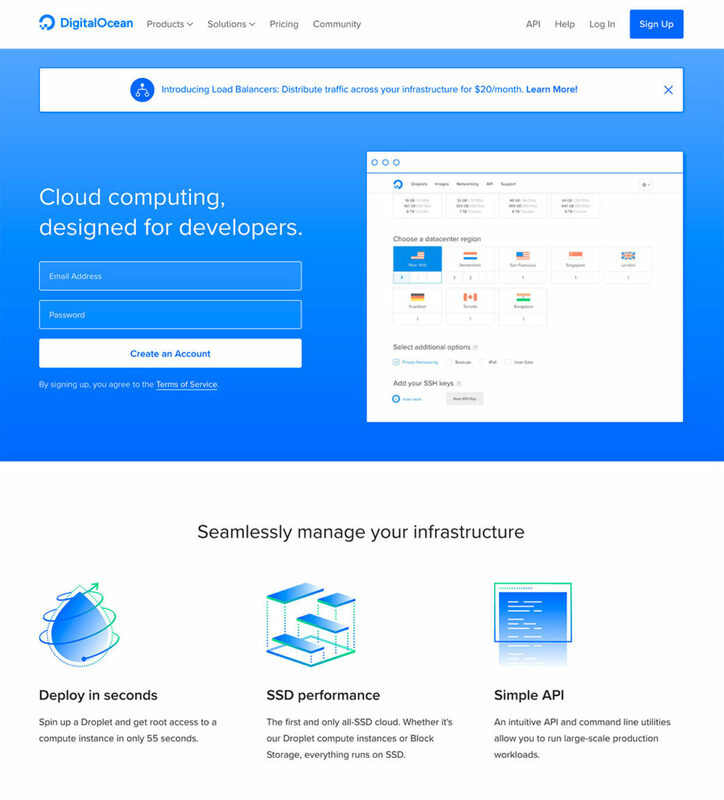 A combination of ultra cheap servers ($5/mo), high performance SSD disks, a great API for managing droplets (what they called their machines) and some super slick marketing meant that Digital Ocean has quickly gone from the new kid on the block to one of the biggest hosting companies in the world. The droplets are awesome and their control panel is incredible for managing them. What I do love about Digital Ocean is it has become my development playground. Low powered machines for $5/mo. is a great way to spin up a new machine for a few weeks to experiment with something new. The 2GB droplet, which is more suitable for production use, is $20/mo. 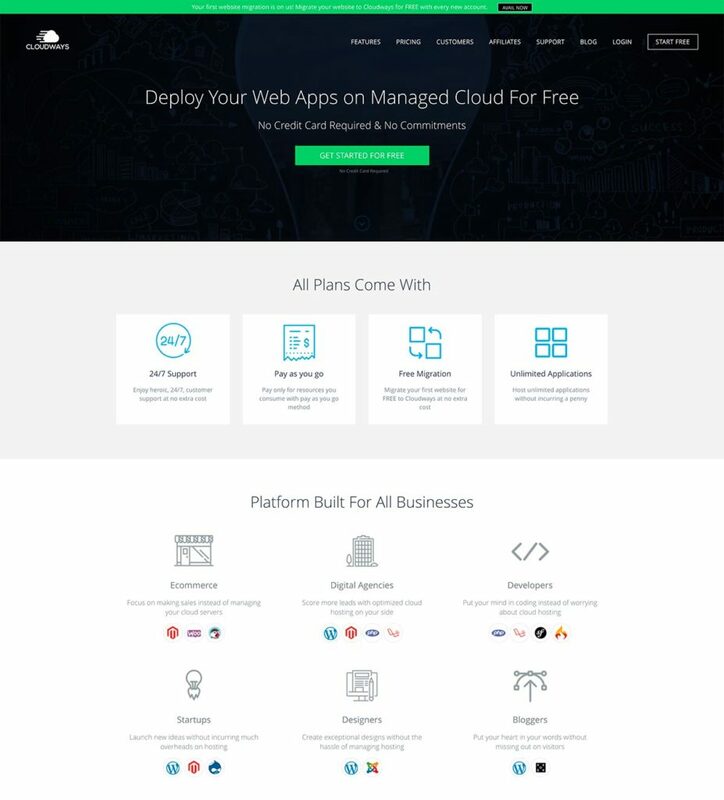 Cloudways is pushing the cloud revolution by offering fully managed cloud hosting in a neat, easy to use package. 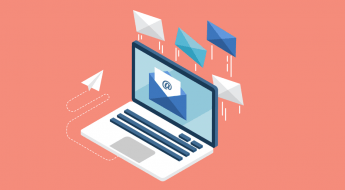 Cloudways doesn’t run its own cloud hosting network – instead, it connects you with cloud hosting from some of the biggest names out there. Currently, you can choose from: Vultr, Google Cloud Platform, DigitalOcean and Kyup. Through Cloudways’ simple interface, you get an easy way to manage your site. We recommend the $17/mo. package with 1GB of memory and 2TB of bandwidth. You can try it for free today, plus they’ve kindly provided a discount code should you like what you see. 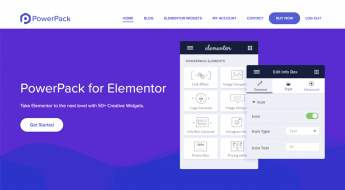 Kinsta’s is a unique offering. Their entire infrastructure is built on the Google Cloud Platform and is very different from traditional shared, VPS, or dedicated infrastructure. Every WordPress site is housed in its own isolated container, which has all of the software resources required to run it (Linux, Nginx, PHP, MySQL) and the resources are 100% private. Their dashboard is quite a bit more usable than most also, and provides customers an overview of the sites hosted, a summary of resource usage, plus visitor analytics in a very slick interface. 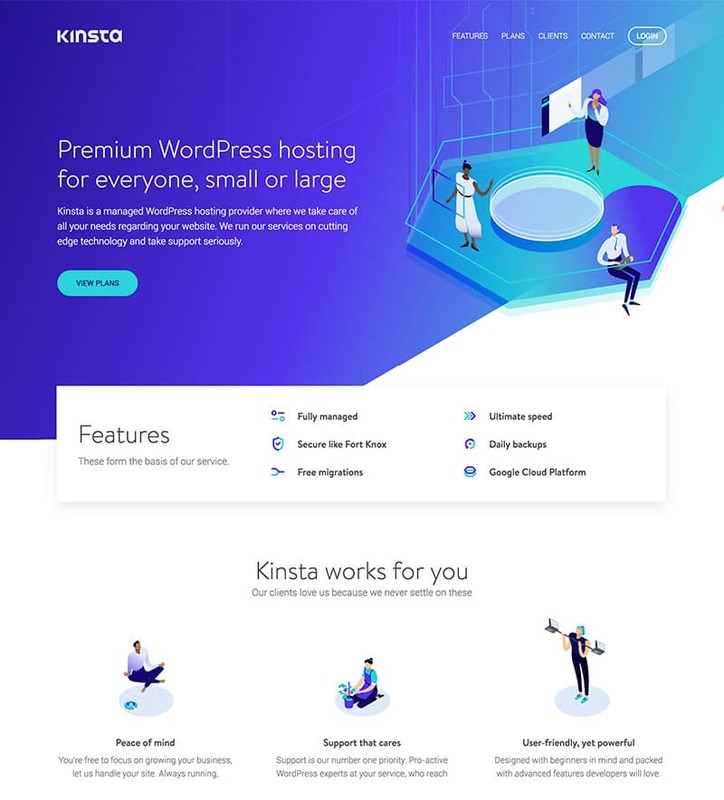 If your site is growing beyond standard hosting and beginning to do serious numbers traffic-wise, Kinsta is a great choice. Managed WordPress hosting is a relatively new phenomenon compared to the other types of hosting included on our list. WP Engine pretty much pioneered this market. 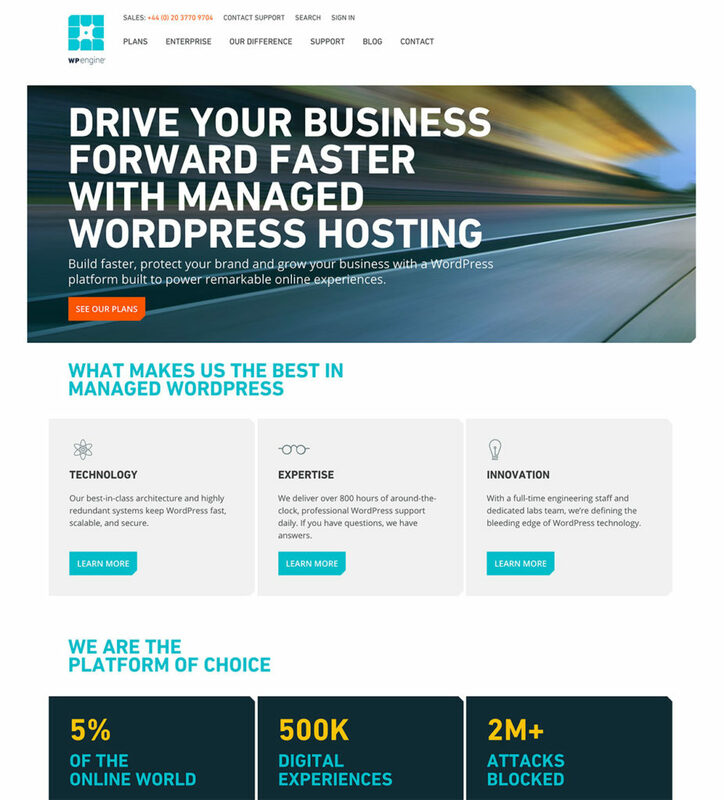 Managed WordPress hosting has huge benefits for WordPress site owners, in particular when it comes to site speed, performance and overall stability. Most Managed WordPress hosts operate highly tuned devops stacks that usually incorporate nginx, Varnish, Memcached amongst other tech to deliver superior performance. 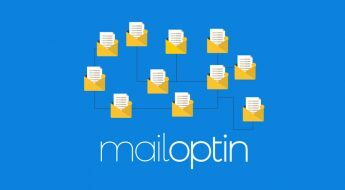 For extremely high up-times, massive scalability and bulletproof security WP Engine are the best choice around. They’re favored by governments and Fortune 500 companies and plans start from $29/mo.